When you are trying to match an existing or unique color customizing your roofing is often the best answer. 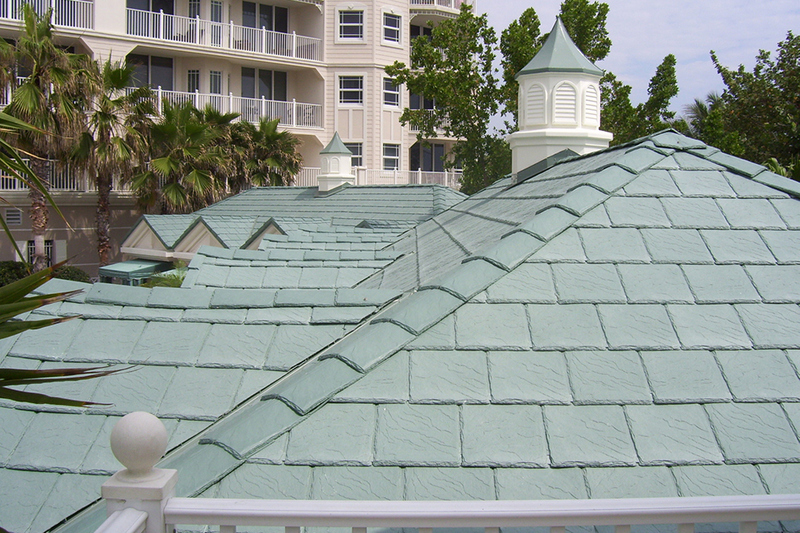 Jupiter Ocean Grande condo community in Jupiter, Florida needed a roof that matched the original color of their metal roof that had begun to rust and fade within just a few years of installation. Now the condo is topped with the same color as the original roof but with polymer Bellaforté Slate tiles that will stand up to the salt-laden air, wind, and rain of the Florida coast. Older homes often used many colors arranged in patterns on their roofs. This another instance where creating a custom color or arrangement of colors can be your best choice. When homeowners Carol and Ray Knoff were ready to replace the roof on their 111-year-old Queen Anne style home they knew exactly what they wanted. 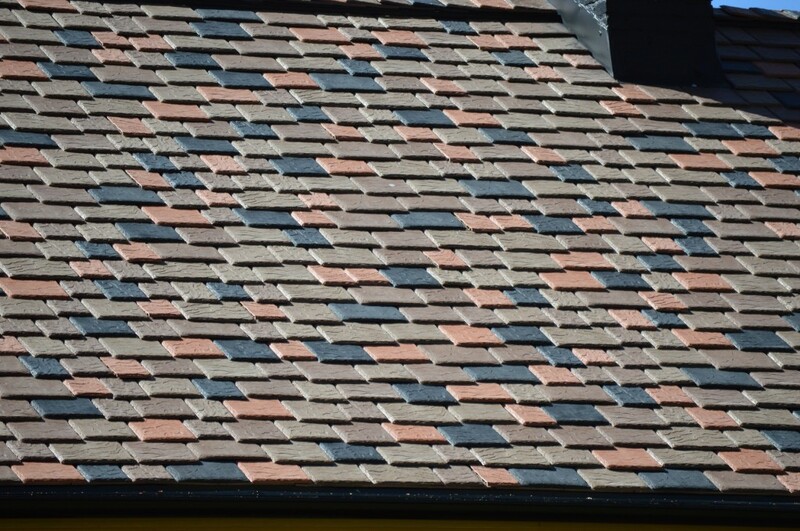 They wanted to recreate 300-year-old roof tile in a synthetic roofing material. 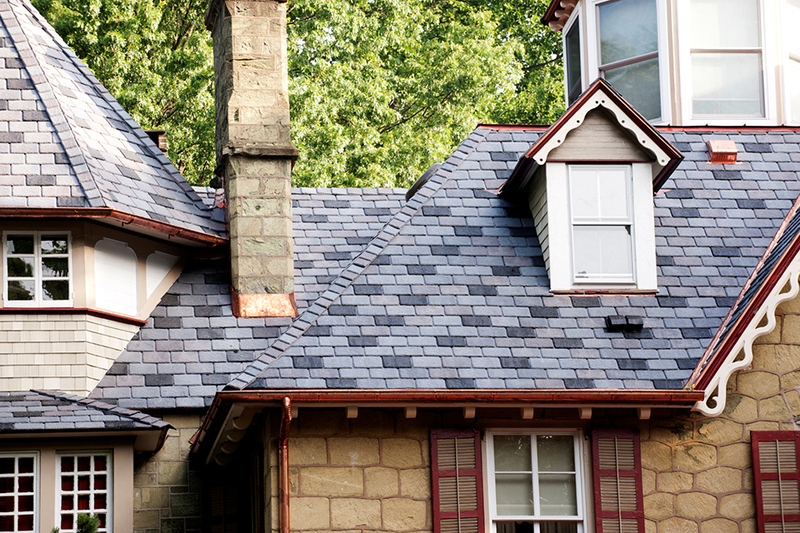 Another example of how DaVinci slate was used to create a historic look is the Darocha’s home. 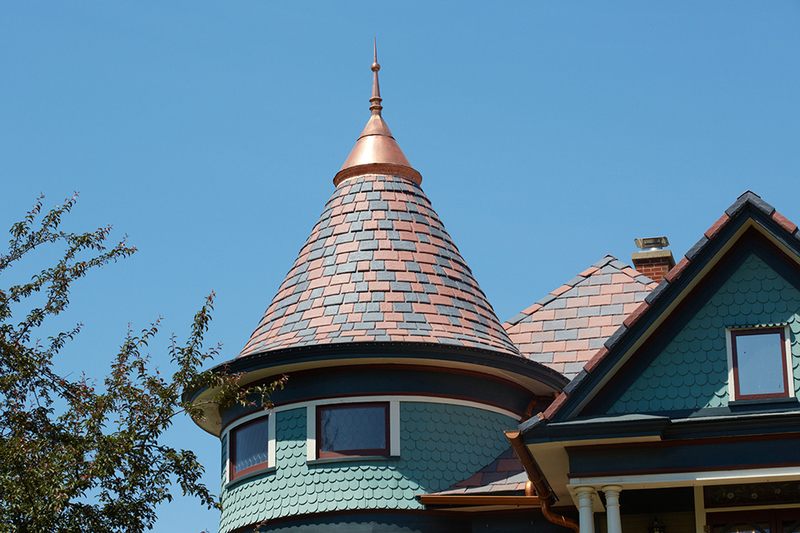 This homeowner selected DaVinci’s Single-Width Slate polymer tiles to complement the historic look of her home. She created a custom blend of colors for the roof, combining the European-VariBlend of dark purple plus light, medium and dark gray slate tiles with black tiles. Inspired by their love of warm earth-tone colors and touches of safari-themed items found inside their home, Jack and Angie Craig transformed the outside of their colonial-style house with stand-out paint colors and a custom-color roof design created by DaVinci Roofscapes and Epic Exteriors. The four earthy colors of polymer roofing tiles were staggered on the Craig’s roof to create an inspiring pattern. By using a custom blend of Light Clay, Medium Light Autumn, Medium Autumn and Black, the homeowners were able to make an exterior design statement with their roof that reflected their personalities. Is A Custom Color Right For You? Are you thinking about a custom color for your home or building? See more examples of custom color roofing solutions and the answer to some of the most frequently asked questions about creating custom color roofing.